German Navy the rank is known as Konteradmiral, superior to the flotilla admiral (Commodore in other navies). In the Royal Netherlands Navy, this rank is known as schout-bij-nacht (lit. : supervisor during night), denoting the role junior to the squadron admiral, and fleet admiral. Australian Defence Force on 16 December 2011. Canada In the Royal Canadian Navy, the rank of rear-admiral (RAdm) (contre-amiral or CAm in French) is the Navy rank equivalent to major-general of the Army and Air Force. 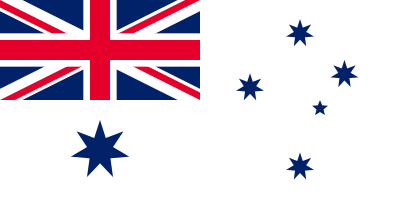 A rear-admiral is a flag officer, the naval equivalent of a general officer. A rear-admiral is senior to a commodore and brigadier-general, and junior to a vice-admiral and lieutenant-general. The rank insignia for a rear-admiral is two silver maple leaves beneath a silver crossed sword and baton, all surmounted by St Edward's Crown, worn on gold shoulder boards on the white short-sleeved shirt or the tropical white tunic. The service dress features a wide strip of gold braid around the cuff and, since June 2010, above it a narrower strip of gold braid embellished with the executive curl. On the visor of the service cap are two rows of gold oak leaves. Guyana Defence Force Coast Guard is the naval component of the Military of Guyana. As such, the ranks of the Coast Guard are naval ranks similar to the practice in the respective Coast Guards of Jamaica and Trinidad and Tobago. The rank of rear admiral was first awarded to chief of staff commodore Gary Best on August 19, 2013. The rank insignia consists of two silver pips with green highlights, beneath a crossed sword and baton (also silver colored), all surmounted by the gold-colored Cacique's crown with red, and green highlights. Indian Navy also maintains a rear admiral rank senior to commodore and captain ranks and junior to vice admiral (and admiral) ranks. 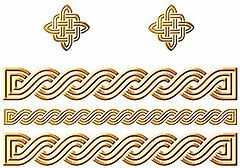 The rank insignia for a rear-admiral is two stars beneath crossed sword and baton, all surmounted by Emblem of India, worn on shoulder boards. Iran Before Islamic Revolution (1979) The Iranian Imperial Navy (IIN). Islamic Republic of Iran Navy (IRIN), also known as the Iranian Navy. Michelle J. Howard uses the public address system to address the crew of USS Wasp in 2009. Howard has since been promoted to admiral. In the United States since 1984, there have been two ranks with the title of rear admiral: rear admiral (lower half) (RDML), a one-star rank; and rear admiral (RADM), a two-star rank. Prior to that, a combination of ranks were used. Admiral Jack Steer Appointed Chief of Navy". Royal New Zealand Navy. Royal New Zealand Navy. Retrieved 15 November 2014.